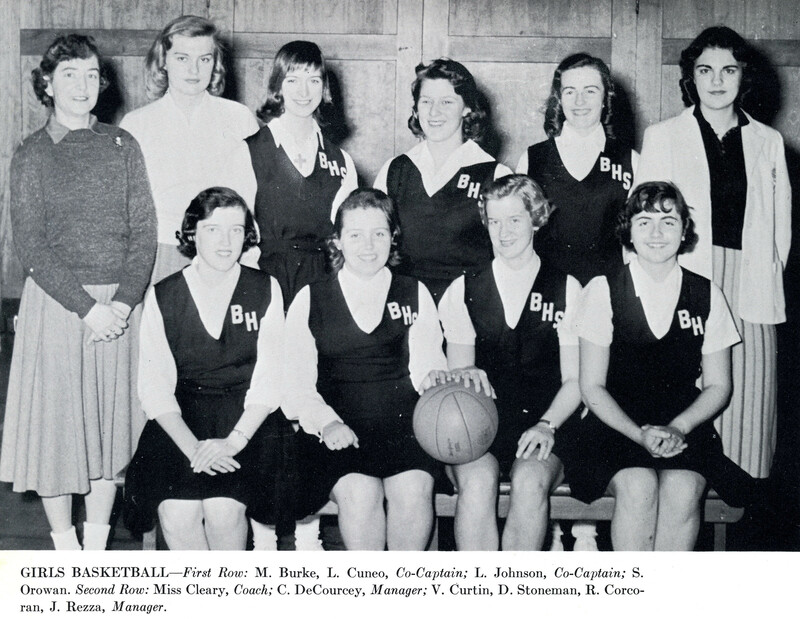 "Fight, fight with all your might..." So goes the popular cheer, and playing in such a way were the fabulous Varsity Girls' Basketball players, Co-Captained by Peggy Burke and Lee Cuneo. Along with Dot Stoneman, these three forwards averaged about 15 points per game. 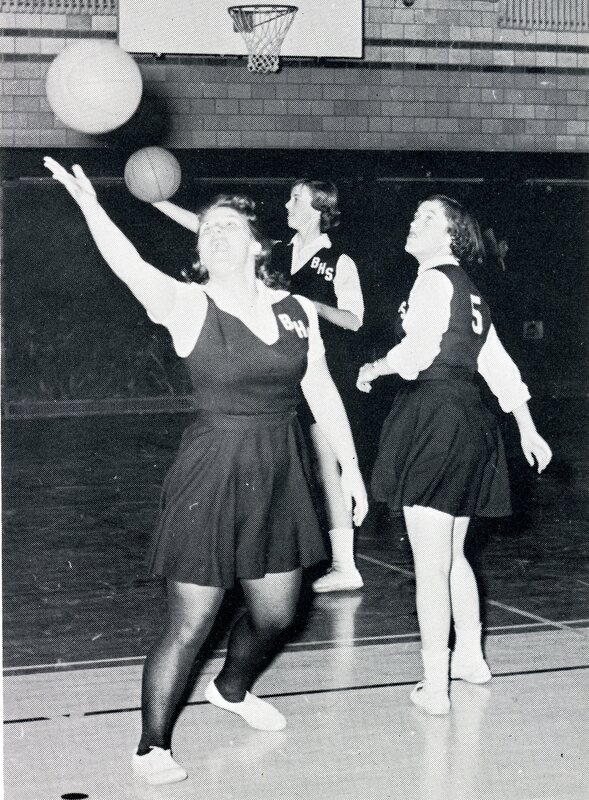 Guards Ruth Corcoran, Linda Johnson and Nancy Geggis were terrific as they never stopped fighting for the ball. The season, record-wise, was not too satisfying, but as usual every game was exciting and fun-packed. Those who supported the girls from the bleachers found equally as much excitement as did the players. 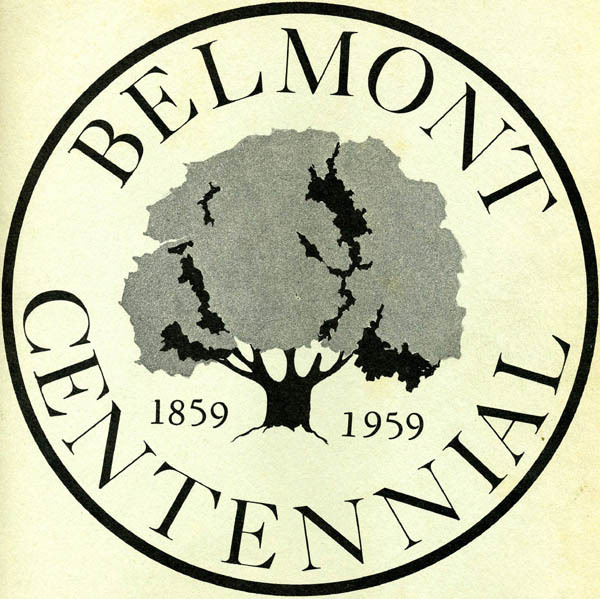 The Lexington game, which Belmont forfeited by a narrow two point margin, proved one of the most thrilling. Every minute was filled with the suspense that makes an unquestionably great game.